THE FREE CHOICE E-ZINE: THE ASTRODOME: AN ENDANGERED LANDMARK? 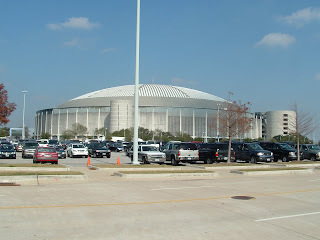 THE ASTRODOME: AN ENDANGERED LANDMARK? When it opened in 1965, it was the first of its kind: a completely enclosed arena for sports, concerts, and other events as scheduling permitted. While other venues have come and gone since, it was the pioneer that led the way. 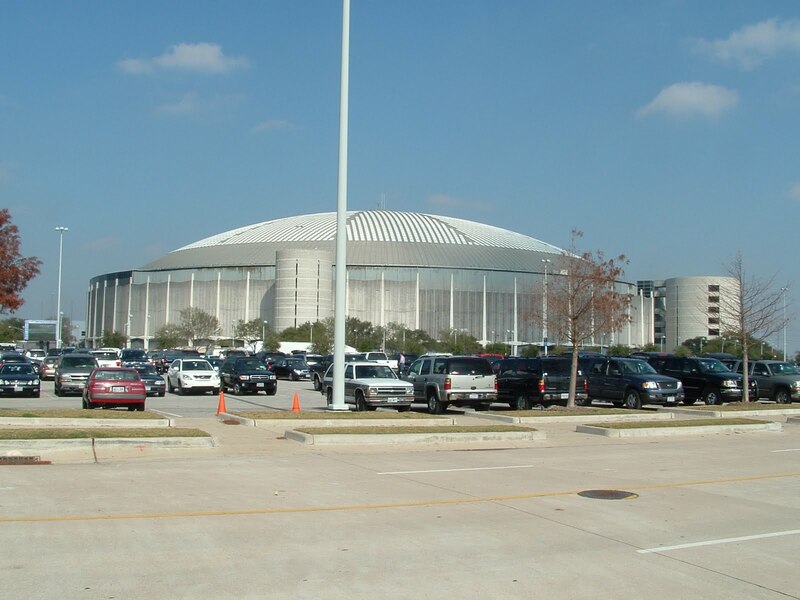 Nicknamed "The Eighth Wonder of the World", the Houston Astrodome was home to the Houston Astros, the Houston Oilers, the Houston Livestock Show and Rodeo, various high school football games, and a host of other activities over its career. Amongst events held within it were the legendary "Battle of the Sexes" Tennis match in 1973 between Billie Jean King and Bobby Riggs, serving as a setting for movies and television shows, and hosting several memorable rock concerts by the likes of Selena, Elvis Presley, Paul McCartney, The Rolling Stones, and others. 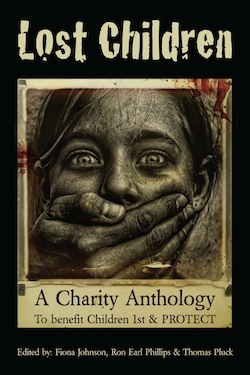 But with its primary tenants, the Houston Astros Major League Baseball team and the Houston Texans National Football League team, now in other facilities, it has sat practically idle since 2005, after housing the displaced victims of Hurricane Katrina. Although technically it belongs to Harris County, of which the city of Houston composes the vast majority of, if a practical purpose cannot be found for it within the coming months, Reliant Energy (the current "name" owners) are considering getting permission to tear down this fabled landmark in favor of providing more parking for the other facilities on the property, chiefly the Reliant Football Field where the Texans play their home games. The Astrodome has had plenty of renovations over the years, mostly to accommodate more patrons, although on site facilities have been improved, including handicap access; a feature that was not in vogue when ground was first broken to build the arena. While no final decision has yet to be made on its fate, there has been talk of having the Astrodome declared a historic landmark. But there are a few hurdles to that lofty goal. The first being that if Texas Governor Rick Perry's current budget proposal is passed, then the Texas Historical Foundation will be left with practically no funding in the foreseeable future, and would be able to do nothing more than give moral support to any potential movement that tries to have the Astrodome declared a historic landmark. Yet even if the arena does receive such lofty designation, that is still no guarantee that it will never face a wrecking ball. Other historic places not only in America but across the world have been destroyed in the name of "progress". For example: the legendary Sherwood Forest in England is far less in acreage now than it once was in the days of Robin Hood. 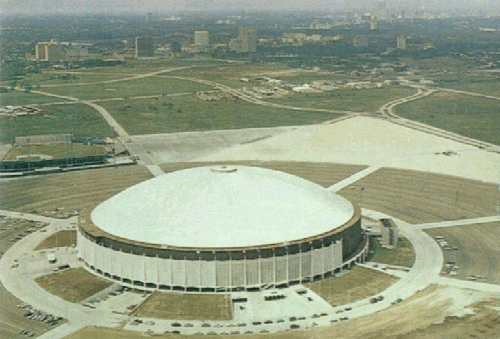 The Free Choice E-zine does hereby officially declare itself on record as being in favor of not only having the Astrodome declared a historic landmark, but preserving it too. APRIL 11, 1954: THE MOST BORING DAY IN HISTORY?